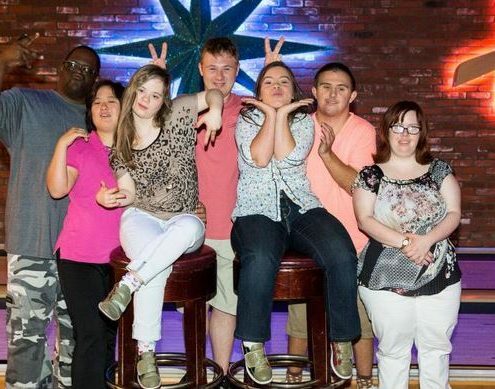 Now airing every Tuesday night on the A&E Network at 10pm/9pm Central, the series on which New Horizons is proud to consultant highlights the outgoing personalities and amazing abilities of seven young adults born with Down syndrome. During hour long episodes everyone is invited to follow the Southern California residents as they pursue passions and dreams, explore friendships and romantic relationships, and generally defy society’s expectations. The series also allows the parents to talk about the joy their children bring to their family, and the challenges they face in helping them live as independently as possible. Please join us in support of this ground-breaking show, and discover its wonderful cast of individuals who are spreading the positive message that being different is no different. Note: “Born This Way” was recently nominated for three Emmy Awards!